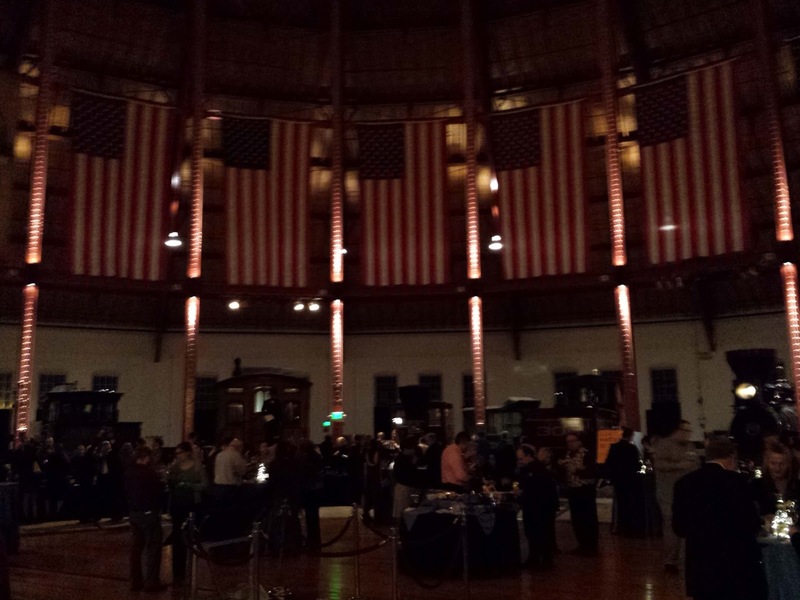 The Maryland Wineries Association just held their 2017 Winter Wine Showcase at the Baltimore B&O Railroad Museum. As the name indicates this event provides an opportunity for Maryland wineries to showcase two of their best wines during the Roundhouse Tasting. 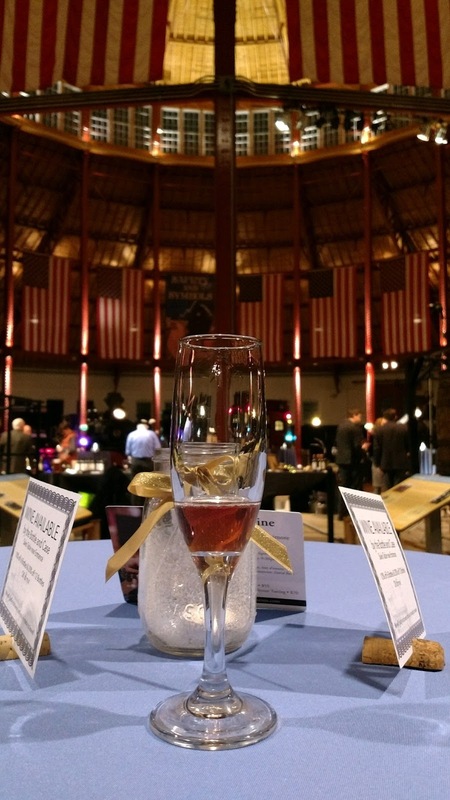 The tasting occurred under the museum's B&O Roundhouse dome and amidst the largest collection of historic trains in the country. The showcase also included a Sparkling Wine Reception featuring five tasty sparkling wines. Overall, the tasting was fantastic -- starting with the setting. 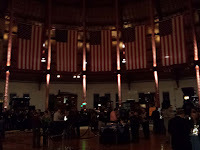 The B&O Railroad Museum is filled with unique and interesting pieces and information culminating in the rotunda housing the historic trains. 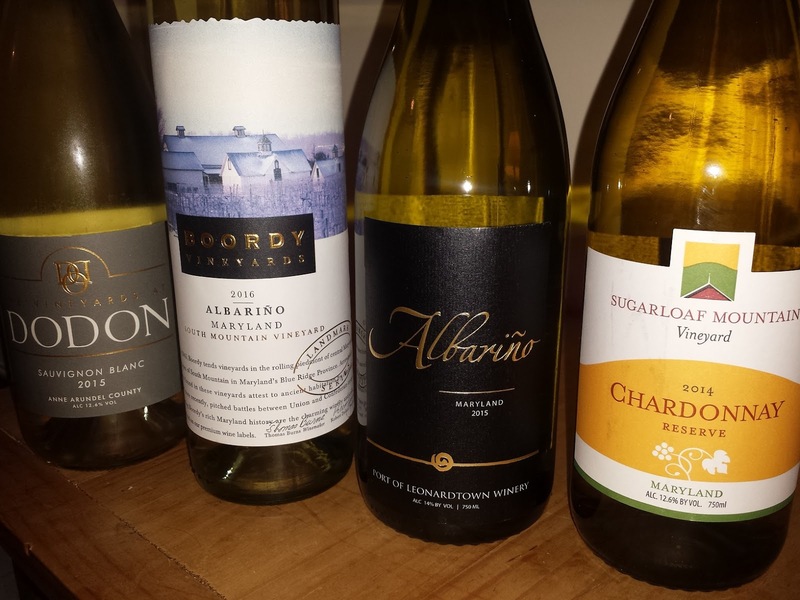 Second, the wines poured demonstrated once again that the Maryland wine industry is improving both in the quality of wines and diversity of the varietals. Almost the entire European continent was represented as we started in Spanish Galicia and Albarino, then roamed through the Italian Piedmont with Barbera, northwards to Austria and Gruner Veltliner, before settling in the Rhone Valley with Viognier, and Syrah. These grape varieties were virtually nonexistent in the Old Line State a decade ago. 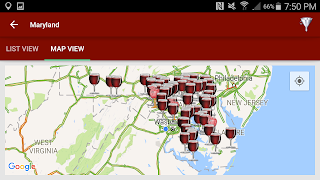 But Boordy Vineyards, Port of Leonardtown Winery, Great Shoals Winery, Crow Farm and Vineyard, Old Westminster Winery, Black Ankle Vineyards, Catoctin Breeze Vineyard, and Big Cork Vineyards and others are proving that these grapes can excel in the diverse Maryland micro-climates. That being said, Chardonnay is still a major player with the Sugarloaf Mountain Vineyard 2014 Chardonnay Reserve ($30) my favorite of the evening. (Their 2013 EVOE! red blend ($41) was also well received.) And Rocklands Farm and Turkey Point Vineyard showed Chardonnay based blends that were fresh, tasty, and affordable - the 2015 White Oak ($23) and 2015 Lighthouse White ($24) respectively. A few other notable wines were the Vineyards At Dodon Sauvignon Blanc ($24), the Layton's Chance Vineyard and Winery 2014 Reserve Norton ($27), which was void of any astringency and jammy characters, the Chateau Bu De Bohemia Manor Farm.barrel sample Cabernet Franc (a phenomenal wine albeit soon to be an expense wine at $75), and The Urban Winery's 2015 Bourbon Barrel Aged Merlot ($25). Whereas this wine was a blend of traditional oak and bourbon aged Merlot, I actually preferred the 100% bourbon aged Merlot that was available as well. I almost forgot the Old Westminster Winery 2014 Cabernet Franc ($35) both here and during the tasting. A delicious wine. 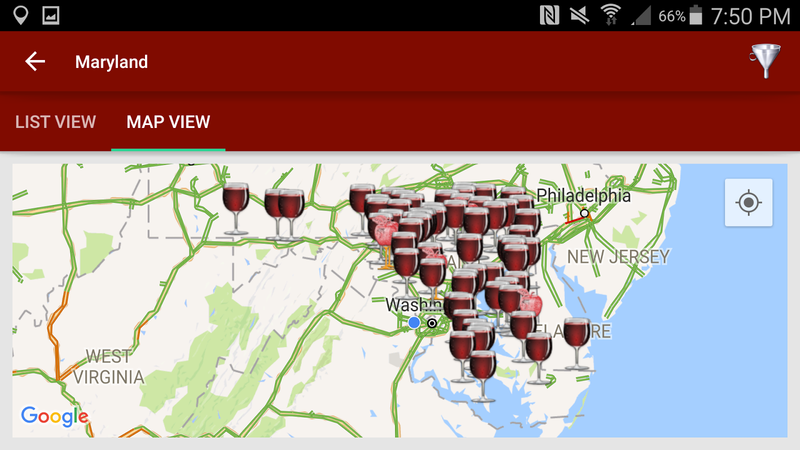 Because of the breadth in quality I am overlooking several wines but rest assured if you plan a trip to Maryland wine country with theCompass you will not be disappointed. Cheers. Grammy nominated The Infamous Stringdusters (Andy Hall - dobro, Andy Falco - guitar, Chris Pandolfi - banjo, Jeremy Garrett - fiddle, and Travis Book - upright bass) -- are synonymous to good music and good beer. Their music is a fusion of what I would call campfire dancing music and contemporary newgrass. As for beer, think the Charlottesville beer scene and Devils Backbone Brewing Company - the former host venue for The Festy Experience music festival. Here's a video of Travis discussing both beer and music at the inaugural Festy many years ago. And if you plan to attend the 2017 Festy (October 5-8 and now located at the Nelson County Preserve) expect to hear plenty of music from Laws Of Gravity , The Stringdusters latest release which dropped January 13th. In this release the band returns to their.progressive bluegrass roots with a theme of the freedom as a result of life on the road. Something they should know rather well. Rotating lead vocals, solos, and tight harmonies provide an expected and consistent bouquet. But there's also a touch of soulful blues with This Ol’ Building and Back Home, which in addition to Soul Searching and Sirens, lift the mid palette and are the strongest section of the album. The tail finishes with high energy effervescence with Let Me Know and I Run To You. Classic Stringdusters. 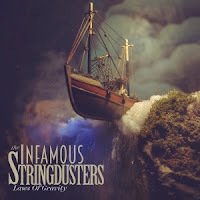 The one problem with this release, and for that matter all the Stringdusters' seven studio releases, is that it can never capture the spirit of their live performance. Case in point is Sirens. The instrumentals are tight - but I'm sure the band blows away audiences performing this song live. Fortunately there are plenty of upcoming tour dates to experience a fantastic live show. I'm targeting the January 27th show at the 9:30 Club. 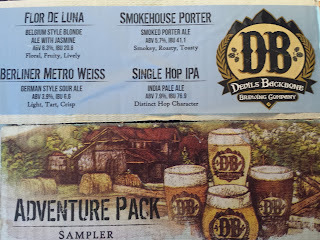 My favorite pairing option for Laws of Gravity is this DBBC Adventure sampler twelve pack. 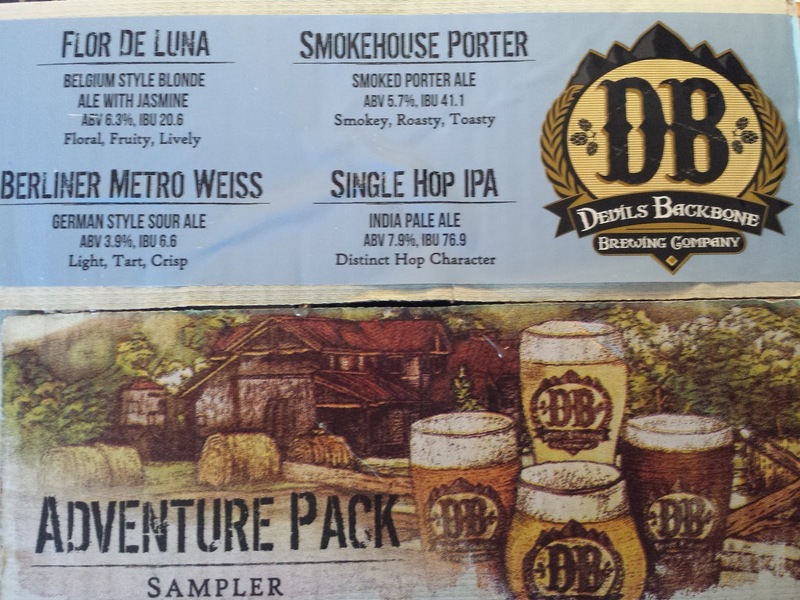 It includesthe Flor De Luna Belgium Blonde Ale, Berliner Metro Weiss, Smokehouse Porter, and Single Hop IPA. I hit all cylinders when fueled with a Berliner Weiss or Smoked Porter - as do the Stringdusters often in Laws of Gravity. Cheers. 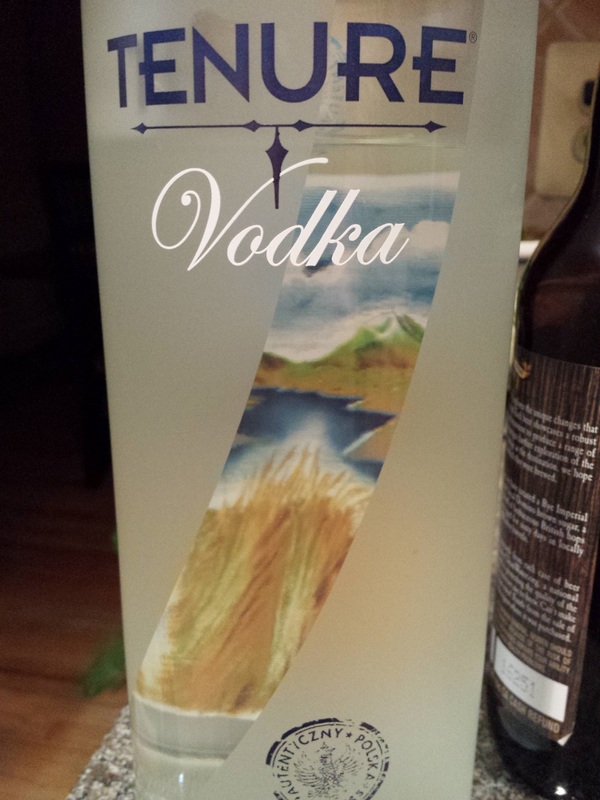 This 1.75 liter bottle Tenure Vodka was recently on sale at my local ABC store for $25. At the rate we go through vodka, why not give it a try. The Tenure is a Polish wheat vodka and a member of the Sazerac Company portfolio. That's about all the information I could find on it's background, although the label mentions a seven step distillation process - whatever that means. 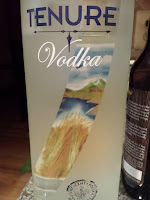 The vodka isn't bad, a little petrol while neat, but with a clean and honey flavored character. A drop of water and ice definitely dampens the alcohol and makes for a smoother sipper. Can't beat that price for an everyday vodka - particularly for mixing. 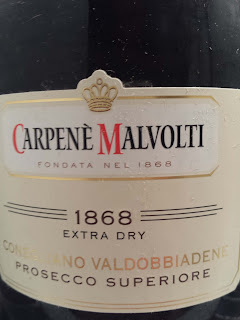 This past New Year's Eve the Carpenè Malvolti's 1868 Extra Dry Conegliano Valdobbiadene Prosecco Superiore DOCG ($18.99) was my sole libation - slowly sipping throughout the evening. I had received the bottle as a result of attending a seminar on the Conegliano Valdobbiadene Prosecco DOCG and saved it specifically for that evening. A good choose (sic). 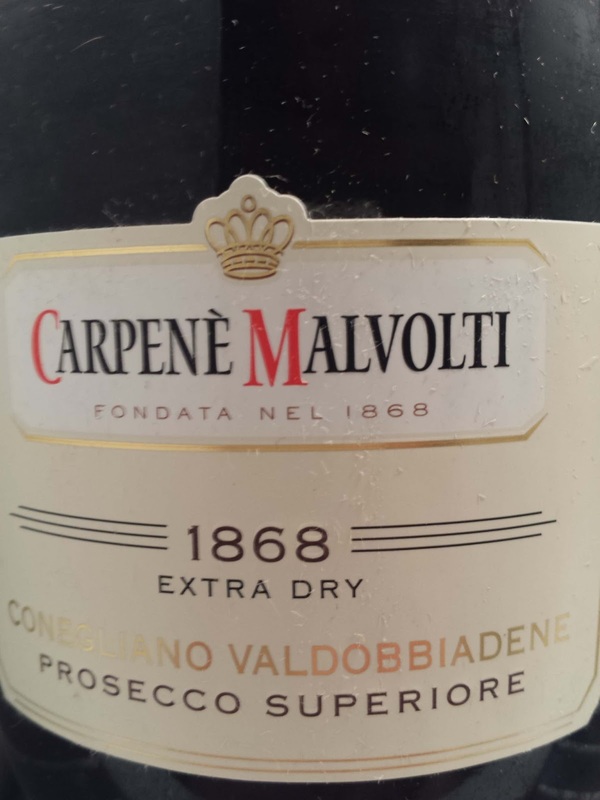 Carpenè Malvolti was founded in 1868 by pioneer Antonio Carpenè who was instrumental in building Prosecco's legacy. He established the region's first Oenological School in 1876, was the first to develop controlled systems for the charmat method, and most importantly, the first to label their wine “Prosecco”. This specific Prosecco is 100% Glera harvested from vineyards in both Conegliano and Valdobbiadene - allowing for the Prosecco Superiore labelling as well as the Conegliano Valdobbiadene DOCG. (Sparkling wine made outside of the Conegliano and Valdobbiadene region can only be labelled Prosecco) This wine was produced using the Charmat method and weights in Extra-Dry (12-17 grams of sugar) as compared to Brut (0-12 grams). This means there's a degree of sweetness that accentuates the fruit flavors and is completely balanced by the acidity and effervescence of the wine's finish. A very delicious under $20 option. Cheers, and happy new year.